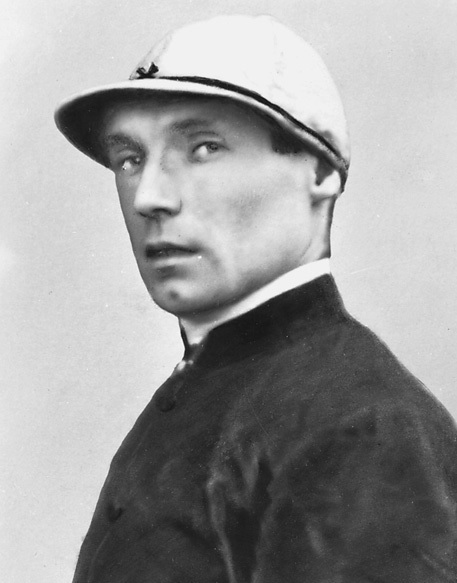 Steve Donoghue (1884-1945), born in Warrington, the son of a steelworker, he was champion jockey 10 times from 1914 to 1923. His 14 Classic wins included six in the Derby, including a record three on the trot – Humorist (1921), Captain Cuttle (1922) and Papyrus (1923) and two wins in the Oaks on My Dear (1918) and the misspelt Exhibitionnist (1937). His great popularity with the public, expressed through the shout of “Come on Steve” became a catchphrase of the nation. Perseverance was the key to Steve’s success, for his early attempts to become a jockey brought many reversals. As a young lad at John Porter’s yard at Kingsclere, Steve had run away when severely beaten after his mount had got loose on the gallops and upset the stable star Flying Fox. Brief stays with Dobson Peacock at Middleham and Alfred Sadler junior at Newmarket followed. However, frustrated with his lack of opportunity, Steve applied for a job with American trainer Edward Johnson in France, where eventually, he rode his first winner, Hanoi, at the age of 21. Joe Childs (1884-1958), born in Chantilly, was later apprenticed to Tom Jennings jnr at Phantom House, Newmarket. In 1901, he had his first big race success, winning the Royal Hunt Cup on the 4-1 favourite Stealaway (4y-6st-7lb). In 1910, he began riding in Germany for Fred Darling, who at that time trained there. On the outbreak of war, he returned to England, and whilst serving in the 4th Hussars and, despite his outbreaks of petulance, he obtained regular leave to ride in the major races. In 1916, he won both the Derby and Oaks on Fifinella (pictured). And, after winning the Triple Crown on Gainsborough in 1918, he gave all his riding fees to regimental funds. In 1925, he was appointed first jockey to King George V and three years later, won the One Thousand Guineas for him on Scuttle. An exponent of the ‘late rush’, Childs rode most of his 15 Classic winners that way. Nevertheless, when riding Coronach in the 1926 Derby for Fred Darling, he obeyed his orders – leading from start to finish, to win by five lengths. On retirement, he owned a small stud in Nazeing, Essex and a controlling interest in Portsmouth Greyhound Stadium. Joe Childs had four brothers – all jockeys – Albert, Arthur, Henry and Charles – the latter winning the 1916 St Leger on Hurry On. Tommy Weston (1903-1981) was the son of a wagon driver for the Lancashire and Yorkshire Railway. Tommy weighed only 4st 3lb when apprenticed to E McCormack at Middleham and rode his first winner on Sally Crag at Newmarket on 2 August, 1918. The following year, Steve Donoghue recommended him to Newmarket trainer Alfred Day Sadler, who needed a jockey to scale 6st 3lb for Arion in the Kempton Park Great Jubilee Handicap (run that year at Hurst Park). Not only did young Weston get the job, but won the race by six lengths at odds of 10-1, with Donoghue back in second. Later, as stable jockey for trainer George Lambton at Stanley House, Newmarket, he rode eight of his 11 Classic victories for Lord Derby (17th Earl), headed by the Derby successes of Sansovino (1924) and Hyperion (1933). 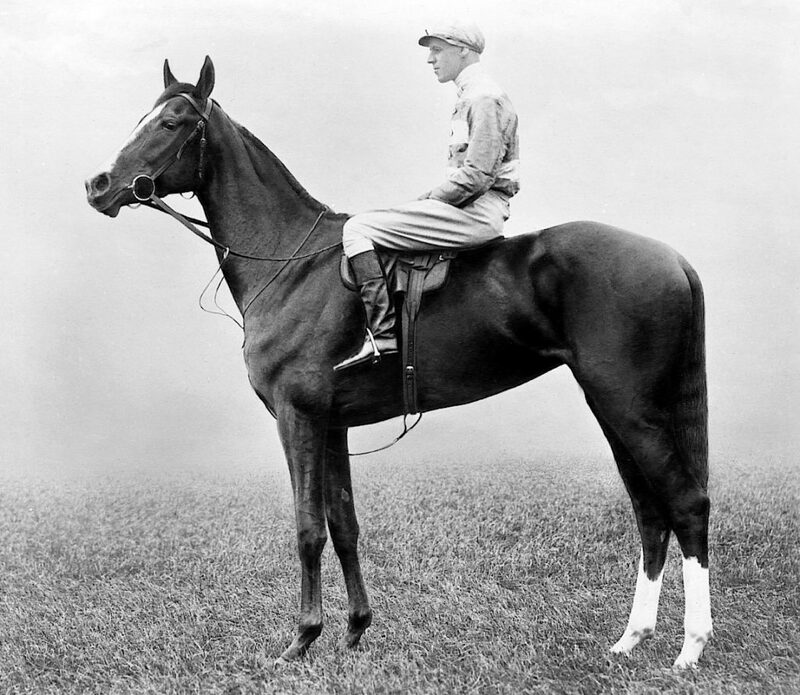 He also rode three winners of the Oaks – Beam (1927), Toboggan (1928) and Lovely Rosa (1936). 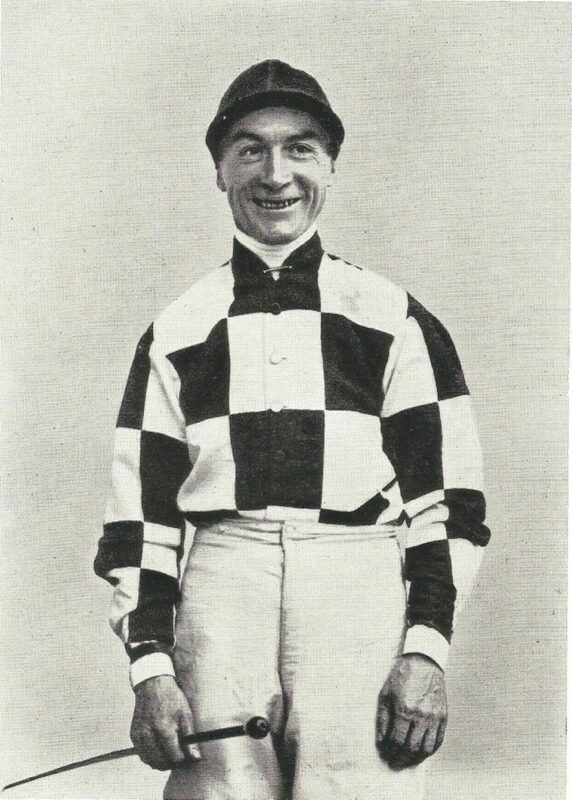 Weston was Champion Jockey in 1926 with 95 winners, before Gordon Richards settled in to dominate the list. Without explanation, Weston’s retainer with Lord Derby was not renewed for 1935. At the start of the Second World War, Weston volunteered for the Royal Navy and served on the troopships off North Africa. Torpedoed by an Italian submarine in 1943, he was picked-up after three days aboard a raft in the Atlantic. After the war, he won the 1946 Lincolnshire Handicap on the heavily-backed favourite Langton Abbot, drawing clear from half-way and winning by four lengths from 36 rivals. His final classic victory came that year when winning the 2,000 Guineas by four lengths on the 28-1 shot Happy Knight.